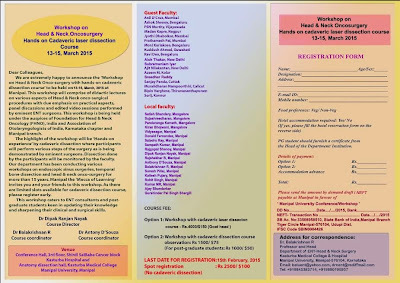 Otolaryngology Update: 'Workshop on Head & Neck Onco-Surgery' with 'Hands on' Cadaver Laser Dissection course at Manipal, Karnataka on 13-15, March 2015. 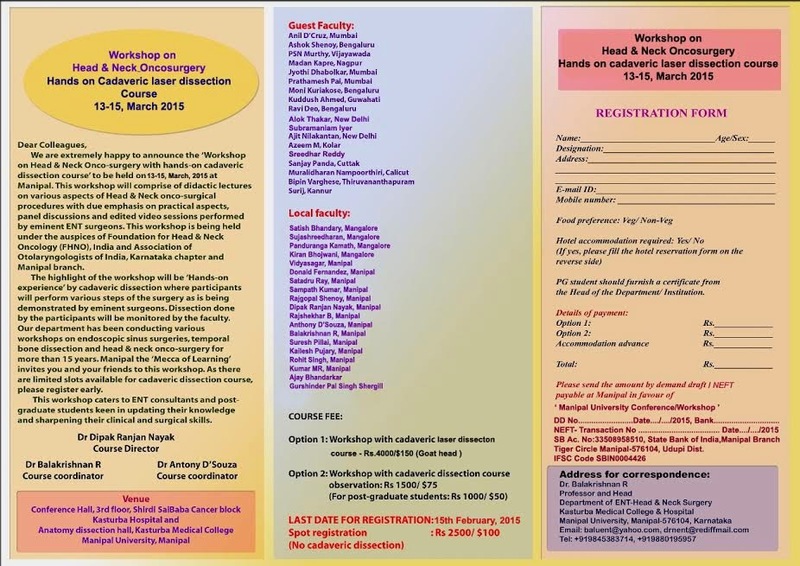 'Workshop on Head & Neck Onco-Surgery' with 'Hands on' Cadaver Laser Dissection course at Manipal, Karnataka on 13-15, March 2015. 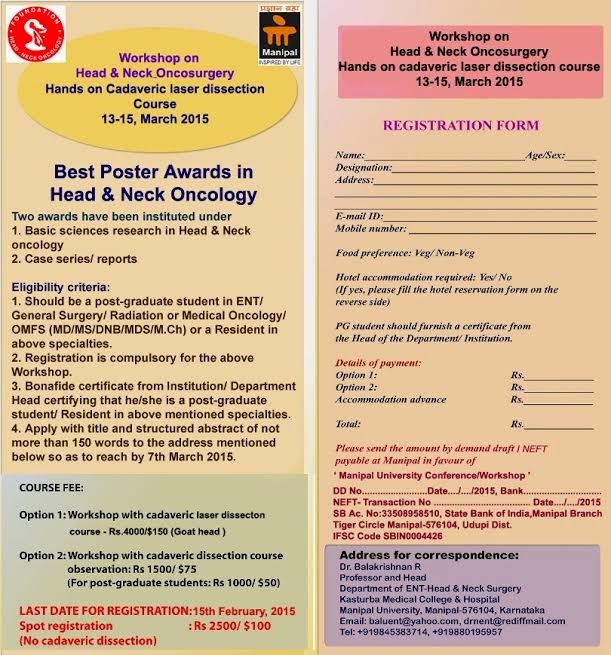 The Department of ENT-Head and Neck Surgery, Kasturba Medical College & Hospital, Manipal and Association of Otolaryngologists of India, Manipal branch under the aegis of Foundation for Head & Neck Oncology (FHNO) is conducting a 'Workshop on Head & Neck Onco-Surgery' with 'Hands on' Cadaver Laser Dissection course at Manipal, Karnataka on 13-15, March 2015. The brochure with the registration form is herewith attached. We request you and your friends/ colleagues/ post-graduate students to register and actively participate in this academic event. 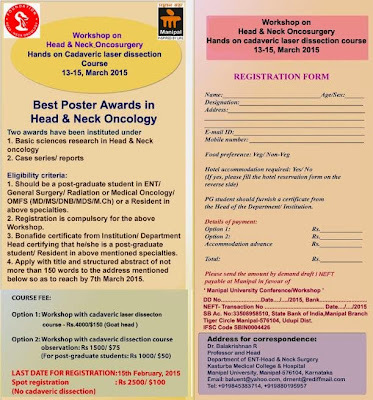 Please note that the last date for early bird registration has been extended to 01-03-2015.